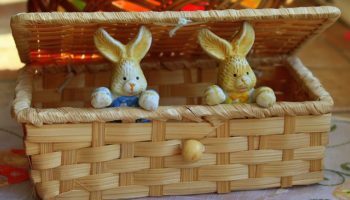 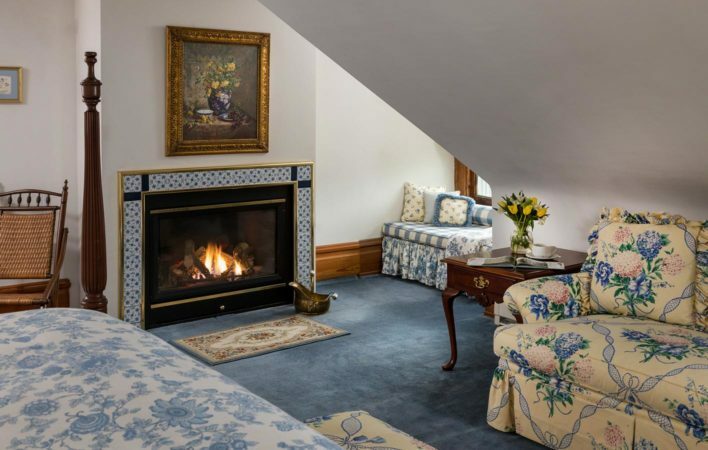 Easter Day At The Historic Mercersburg Inn! 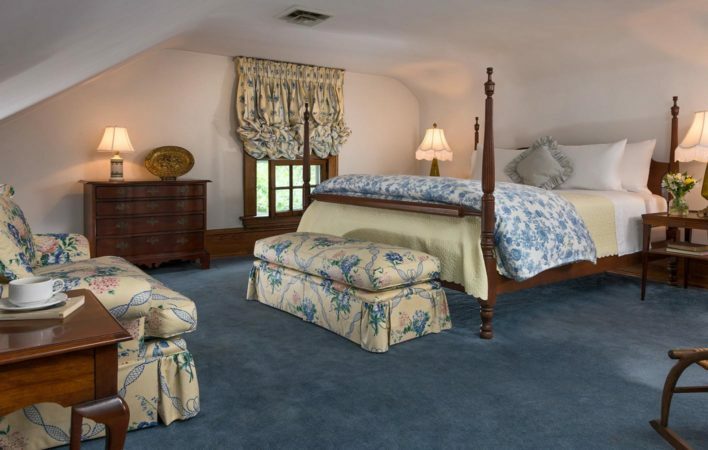 Private and romantic, this large suite at our bed and breakfast in Pennsylvania located near Frederick, Maryland is tucked away in an upstairs corner; Perfect for honeymooners or those romantically inclined! 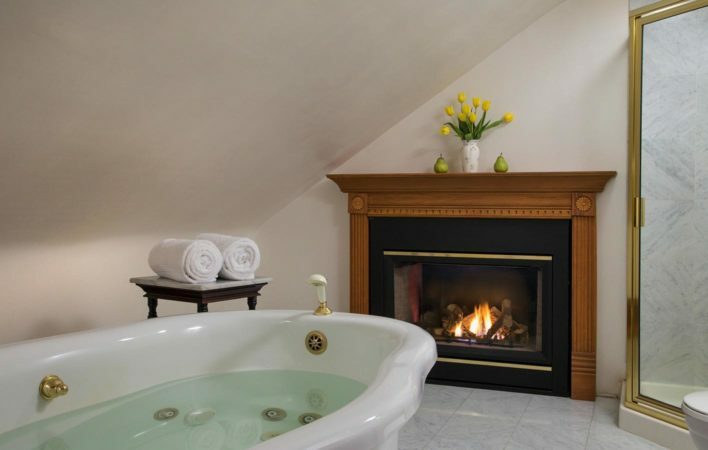 A see-through fireplace casts a warm glow over both bedroom and bathroom. 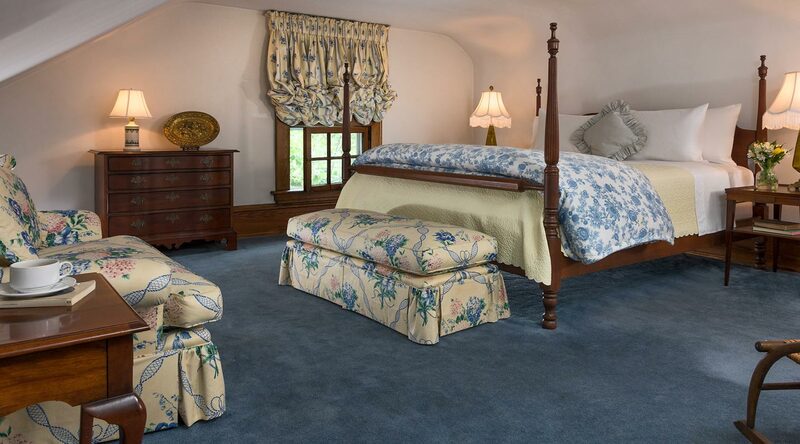 A whirlpool tub for two, king poster bed, and cozy window seat complete the secluded setting.